Stands out for engagement in communities. 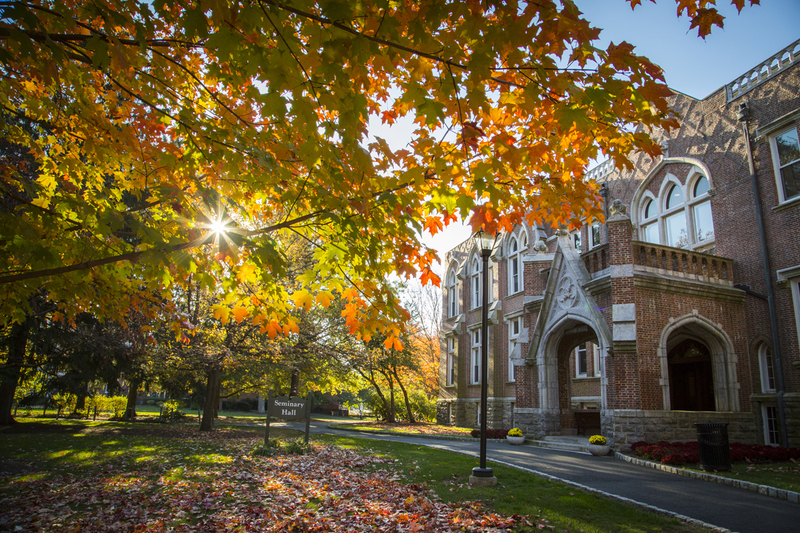 November 2018 – For the third straight year, Drew Theological School is featured on the Center for Faith and Service’s list of the Seminaries that Change the World. The list features a select seminaries and divinity schools that offer innovative courses, programs and opportunities for students who seek to engage in social justice and service work. In particular, the Theological School was recognized for its service-based scholarships, degrees that integrate faith and service, community service programs and campus engagement. “These schools are leaders in innovation and we are excited to see the ways they continue to challenge theological education to grow and change as they help students integrate justice and service into their work as faith leaders,” said Alison Burchett, managing director of the Center for Faith and Service. The Theological School, which recently introduced a Social Justice Leadership Project, offers a wide range of community-oriented programs. For example, its Master of Divinity program requires cross-cultural travel courses, which illustrates a commitment to fostering competence and insight into cultural difference. Furthermore, two initiatives started by students—the Partnership in Religious Education in Prisons and a campus garden—demonstrate an integration of religious scholarship with community engagement.